The FM1STUZH220/50 Electromechanical Timer Module is designed to be placed inside a machine control panel, circuit board, or other equipment. It offers up to 21 Amp switching designed for control of heating, ventilation, air conditioning, refrigeration, lighting, security, circulating pumps, spas, OEM applications, or any electrical load requiring 24-Hour scheduling. Manual Override: Yes. The FM1STUZH-120U Electromechanical Timer Module is designed to be placed inside a machine control panel, circuit board, or other equipment. It offers up to 21 Amp switching designed for control of heating, ventilation, air conditioning, refrigeration, lighting, security, circulating pumps, spas, OEM applications, or any electrical load requiring 24-Hour scheduling. Manual Override: Yes. 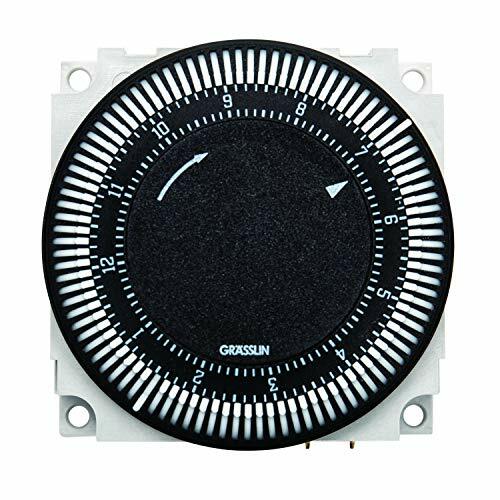 The FM1STUZ-240U Electromechanical Timer Module is designed to be placed inside a machine control panel, circuit board, or other equipment. It offers up to 21 Amp switching designed for control of heating, ventilation, air conditioning, refrigeration, lighting, security, circulating pumps, spas, OEM applications, or any electrical load requiring 24-Hour scheduling. Manual Override: No. 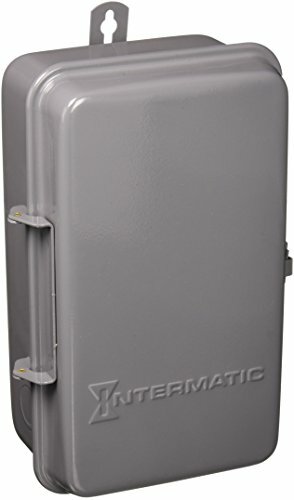 Intermatic Electromechanical Timer, Series: T100, 208 - 277 V, 40 A, 60 Hz, 2 W Power, 2 Poles, DPST, 1 - 23 hr. Time Setting, 1 - 12 Cycles per Day Cycles, -40 TO 130 deg F, Type 3R Steel, 9-3/8 in Overall Height, 5-1/2 in Overall Width, 3-58 in Overall Depth, Enamel, Gray, Includes: Case, Switch, CSA Certified, UL Listed, For Industrial. Brand: Intermatic - Part No. : T104R - Voltage: 208/277 - Amperage: 40 Amps - Width: 5.5 in. - Height: 9.375 in. - Depth: 3.625 in. - Housing: NEMA 3R Rain tight Steel - HP Rati. The FM1STUZ-120U Electromechanical Timer Module is designed to be placed inside a machine control panel, circuit board, or other equipment. It offers up to 21 Amp switching designed for control of heating, ventilation, air conditioning, refrigeration, lighting, security, circulating pumps, spas, OEM applications, or any electrical load requiring 24-Hour scheduling. Manual Override: No. The FM1STUZ-24U Electromechanical Timer Module is designed to be placed inside a machine control panel, circuit board, or other equipment. It offers up to 21 Amp switching designed for control of heating, ventilation, air conditioning, refrigeration, lighting, security, circulating pumps, spas, OEM applications, or any electrical load requiring 24-Hour scheduling. Manual Override: No. The FM1STUZH-24U Electromechanical Timer Module is designed to be placed inside a machine control panel, circuit board, or other equipment. It offers up to 21 Amp switching designed for control of heating, ventilation, air conditioning, refrigeration, lighting, security, circulating pumps, spas, OEM applications, or any electrical load requiring 24-Hour scheduling. Manual Override: Yes. 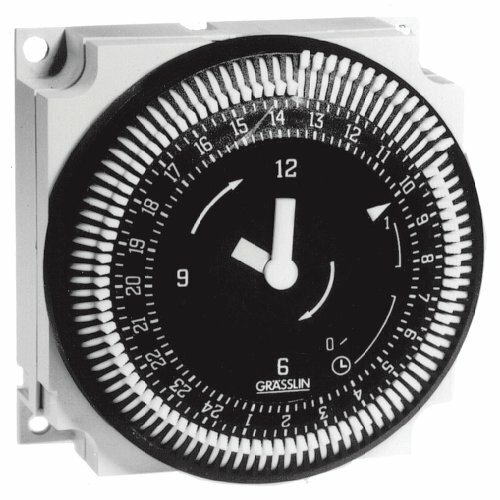 The FM1QTUZ-120U Electromechanical Timer Module is designed to be placed inside a machine control panel, circuit board, or other equipment. It offers up to 21 Amp switching designed for control of heating, ventilation, air conditioning, refrigeration, lighting, security, circulating pumps, spas, OEM applications, or any electrical load requiring 24-Hour scheduling. Manual Override: No. The FM1S12HU-120U is a synchronous motor driven mechanical 12-hour time switch intended as a low cost repeat cycle timer for industrial processes and other applications. It provides continuous on and off cycling in a pattern which repeats every 12 hours. The FM1QTUZ-24U Electromechanical Timer Module is designed to be placed inside a machine control panel, circuit board, or other equipment. It offers up to 21 Amp switching designed for control of heating, ventilation, air conditioning, refrigeration, lighting, security, circulating pumps, spas, OEM applications, or any electrical load requiring 24-Hour scheduling. Manual Override: No. 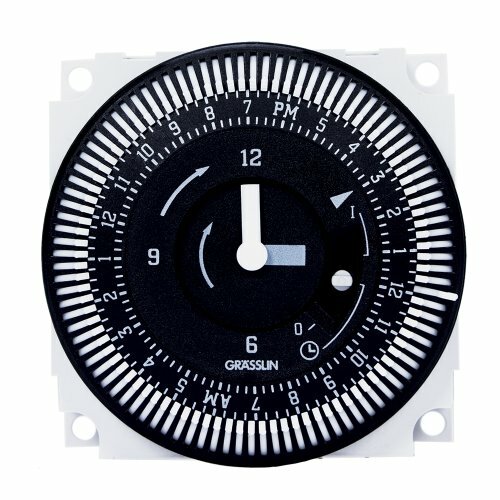 Compare prices on Electromechanical Timer Module at Elevelist.com – use promo codes and coupons for best offers and deals. We work hard to get you amazing deals and collect all avail hot offers online and represent it in one place for the customers. Now our visitors can leverage benefits of big brands and heavy discounts available for that day and for famous brands.